If you're planning a new home site, clearing the land is an essential step in the process. This often entails logging the land, selectively removing trees to make room for driveway access, the home site itself, and landscaping, among other reasons. Sometimes, you just need to thin out the timber on your land, or want to sell some logs to make some money for other projects or needs. 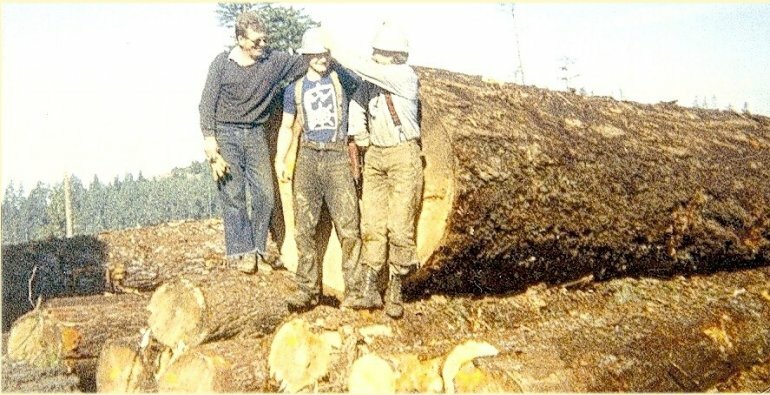 Whatever your reasons for logging your land, choosing the right company for the job is essential in getting the job done right. here at The Tree Service, we have more than twenty years' experience in the logging industry, and our extensive experience and knowledge removing dangerous trees gives us a leg up on the competition when it comes to logging, too. Whether it's a home site that has never been logged or prepared for construction or an existing site with buildings or vehicles to consider, The Tree Service has your back and the know-how to get the job done right. If you're considering logging your property for a new home build or just to thin trees or to sell logs, The Tree Service has the experience to log and remove trees around buildings and on steep or otherwise difficult terrain, and will give you an honest assessment based on your situation as we can. Call The Tree Service today!